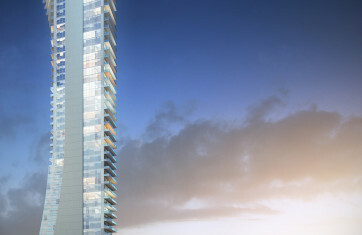 PMG and S2 are proud to present a new boutique, residential high-rise located directly on the pristine white sand beaches of Sunny Isles Beach, Florida. 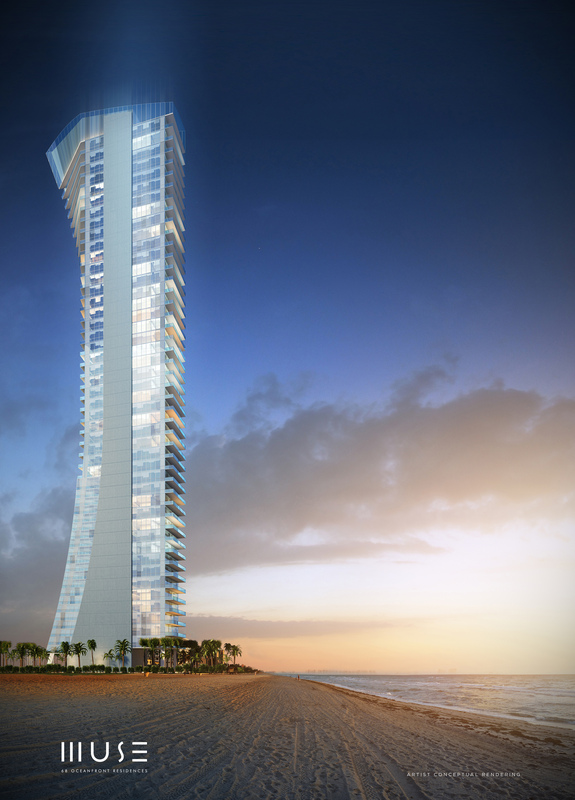 With only 68 oceanfront residences, Muse will create an enclave of tranquility amidst the sun and sand of one of the world’s finest destinations. Artistic elements envelop the building from the outside in. The building’s exterior appears to melt seamlessly into the waves of the Atlantic. With conceptual design by the world-renowned, Carlos Ott, and execution from Sieger Suarez Architectural Partnership, this dream team will bring life to a vision never before seen in this area. For the interiors, the inspired designs will come from Antrobus + Ramirez – the team behind legendary Miami outposts such as Prime 112 and Ocean House. Pieces from Italian artist Helidon Xhixha add to the elegance and sophistication of the common areas. Buyers will meet individually with Xhixha to discuss their tastes; a personalized gift from the artist will await residents upon move-in. The fully finished residences are move-in ready and outfitted with the utmost state-of-the-art technologies, an amenity the development team deemed “Smart Tech 2.0 ”. The vibrant Sunny Isles – with one of the most breathtaking beaches in the world – provides unimaginable convenience, with the affluent village of Bal Harbour only blocks away. The open-air Bal Harbour Shops, the world’s most upscale shopping and dining destination features brands such as Dolce & Gabanna, Chanel, Tory Burch, Michael Kors, and Neiman Marcus as well as world-renowned restaurants like Makoto and Carpaccio. Full Floor Penthouses | 5,995 A/C Sq. Ft.